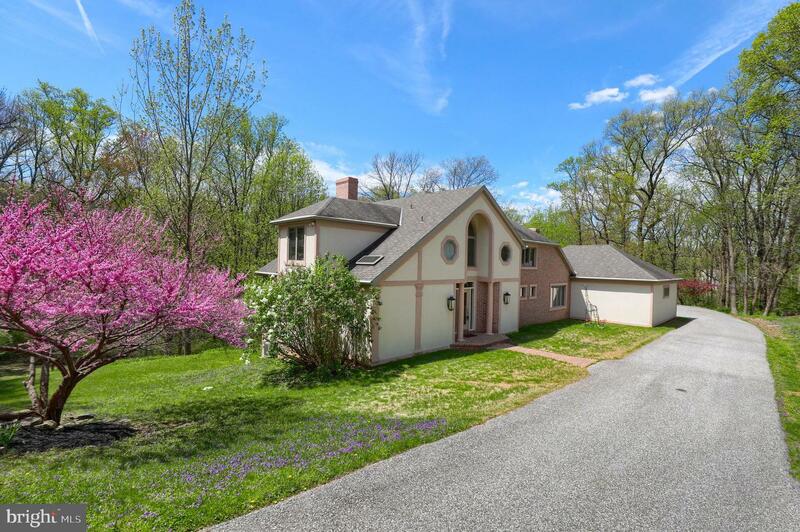 This home will surely catch your attention! 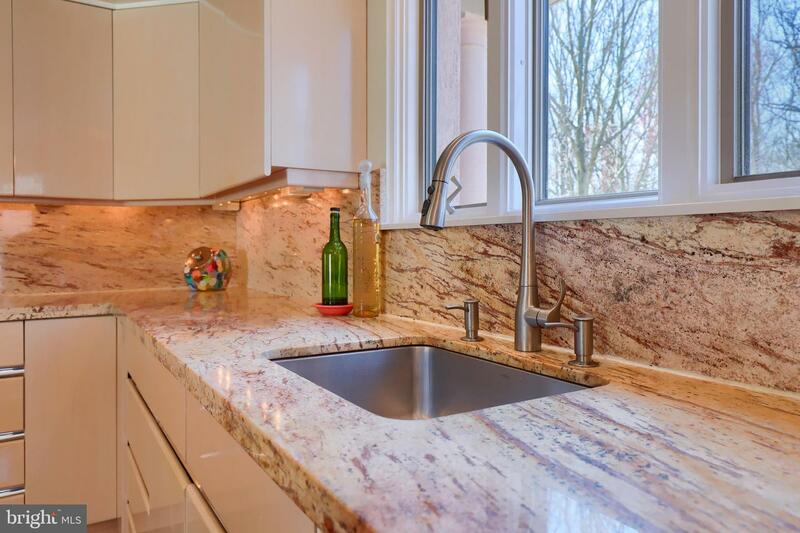 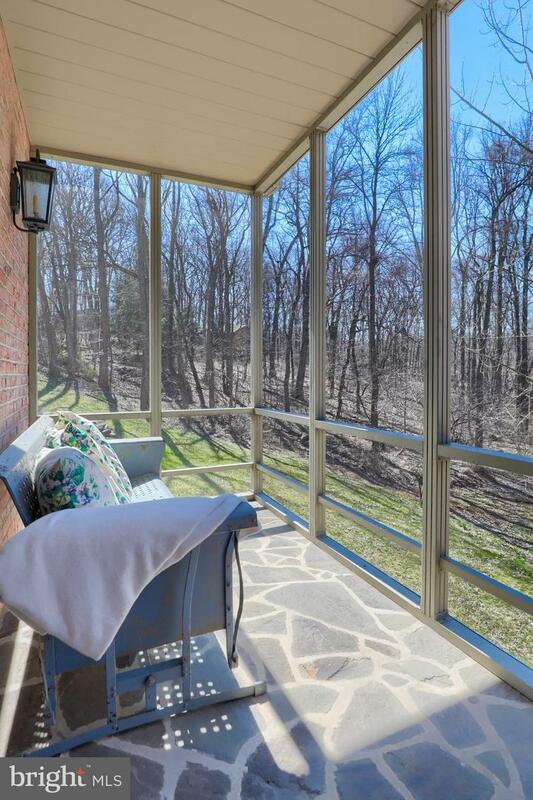 It has been custom designed to ensure that you see nature and all its beauty out every single window! 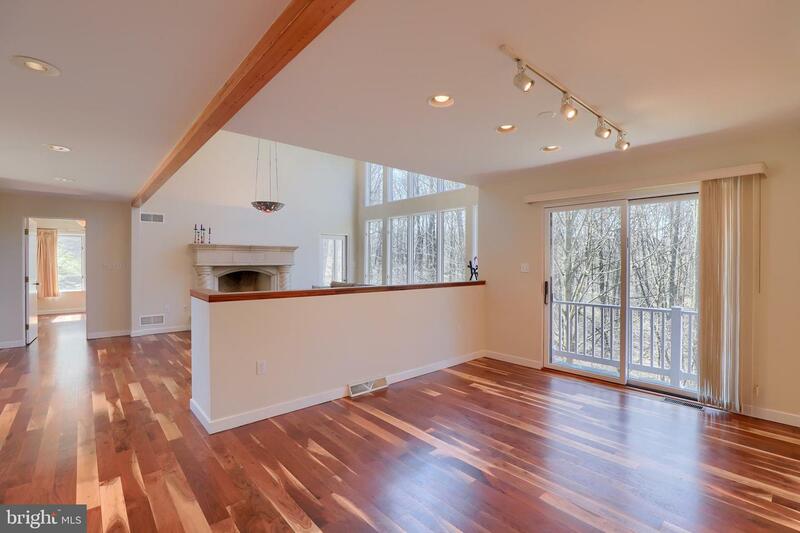 The modern open floor plan lends itself to the entertainer in you or someone who is tired of seeing the blah classic colonial style home. 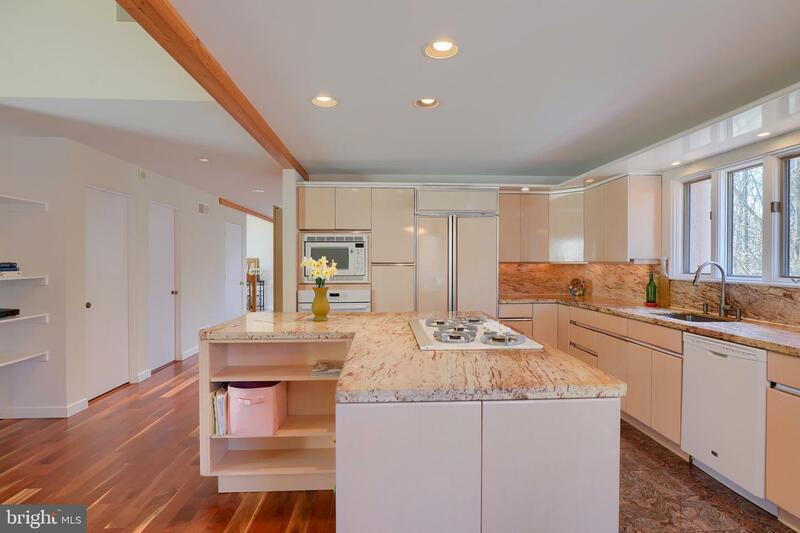 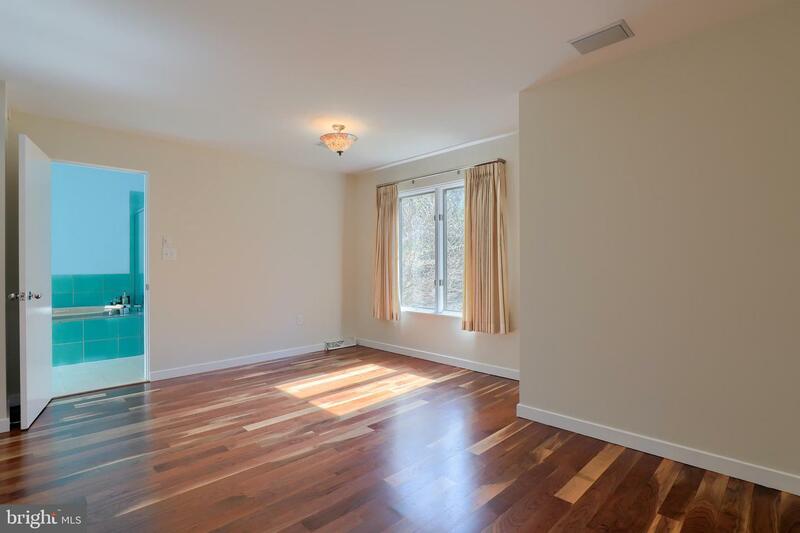 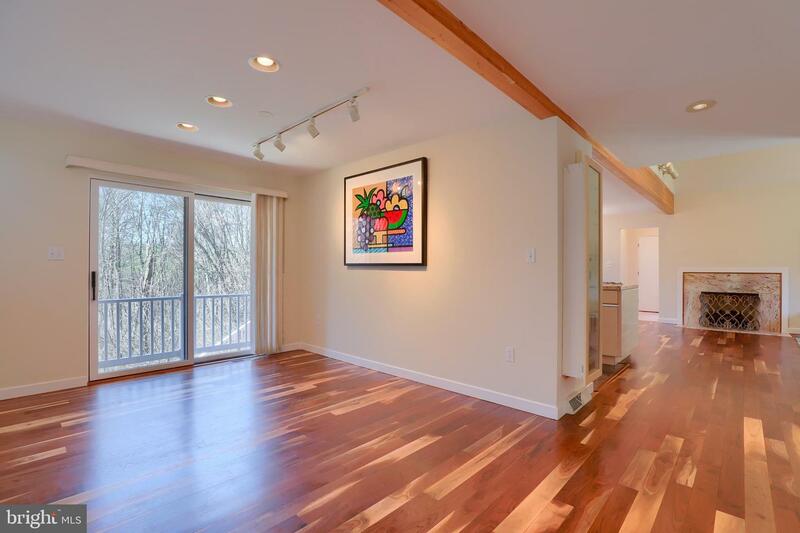 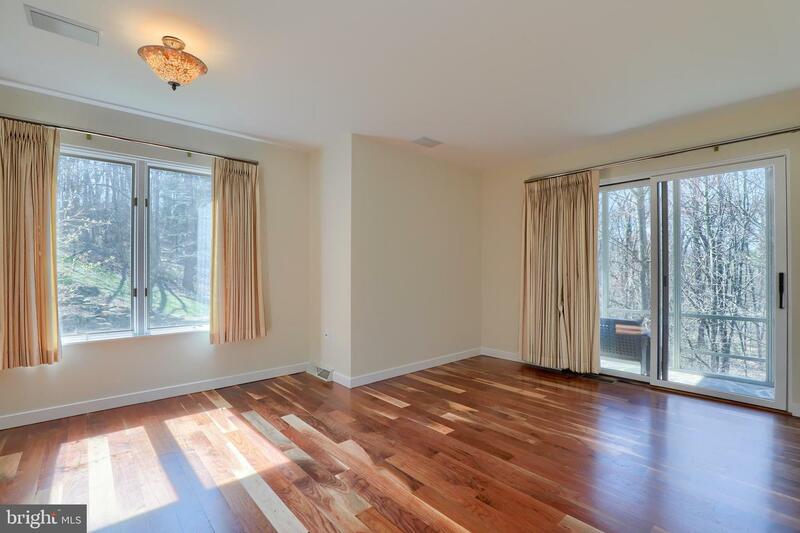 Gorgeous walnut floors greet you as you enter the home. 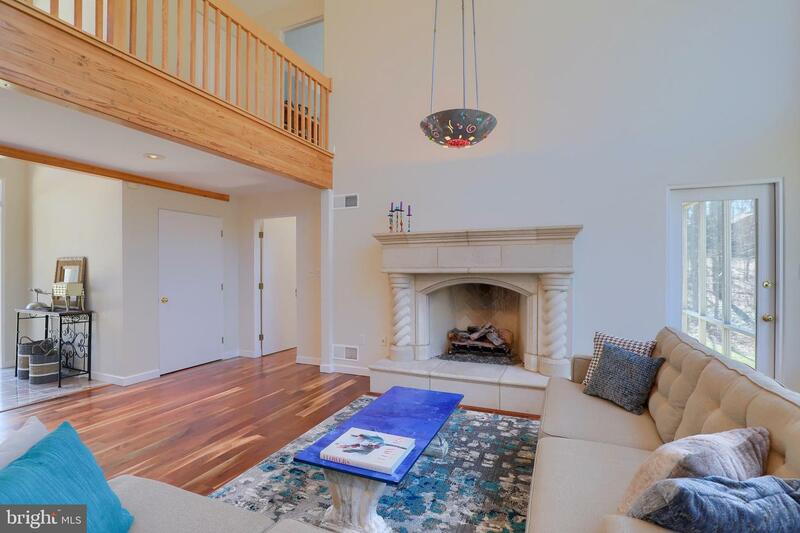 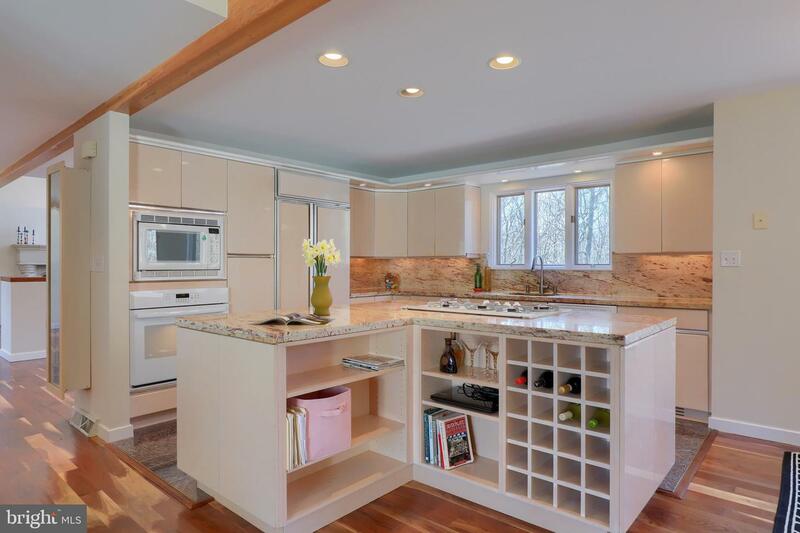 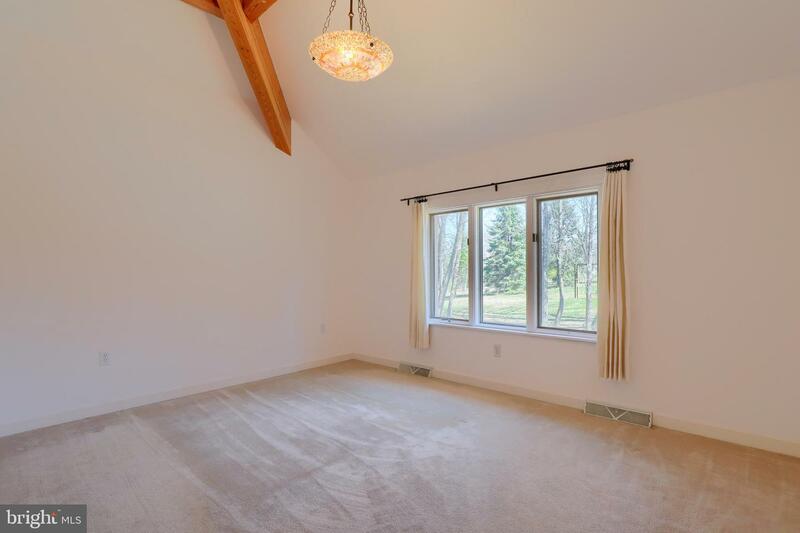 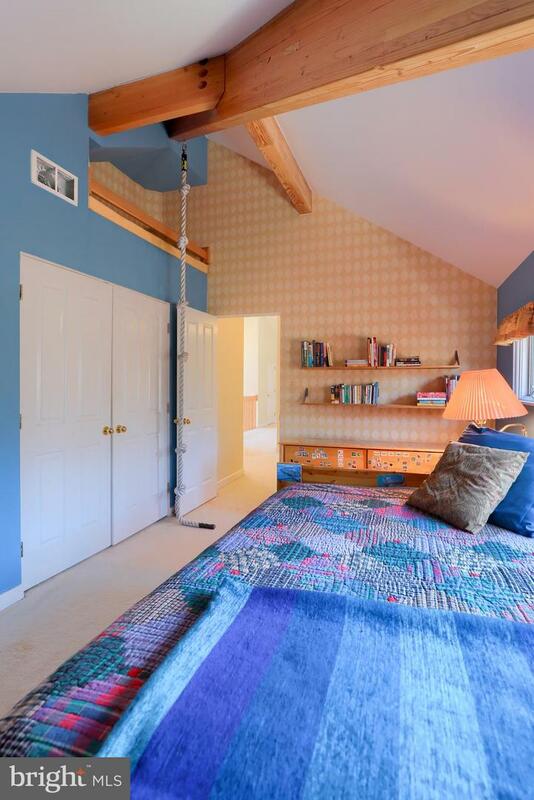 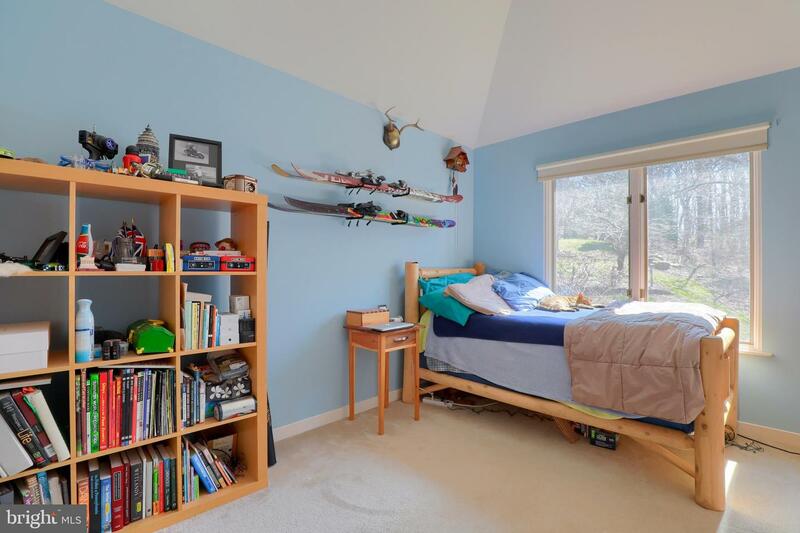 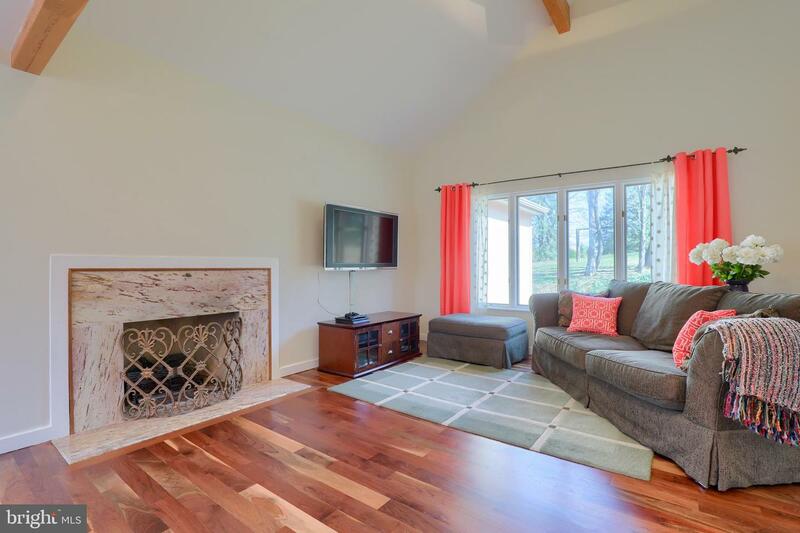 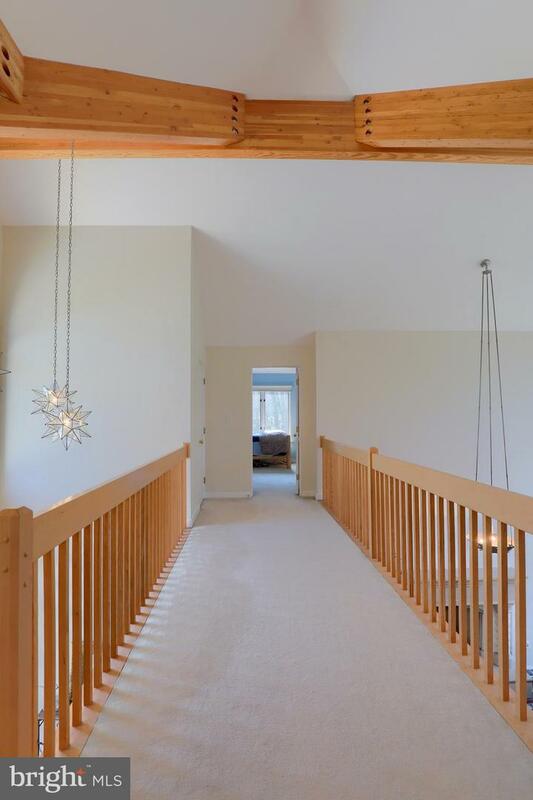 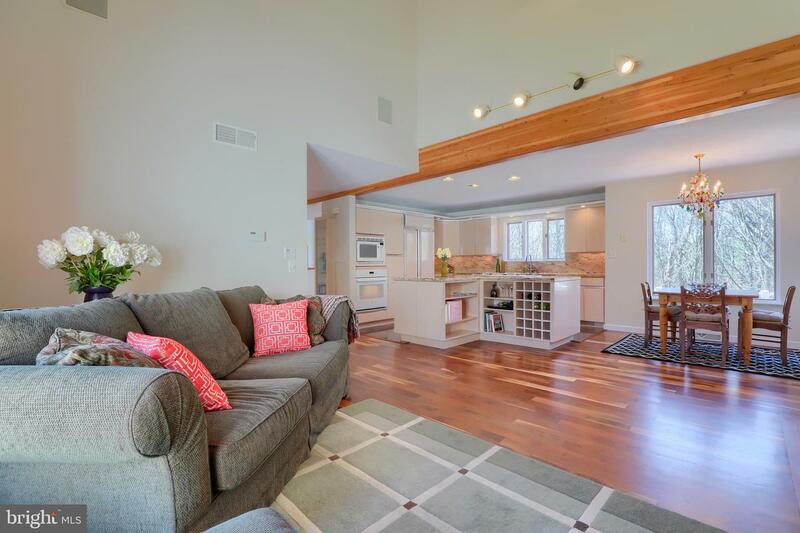 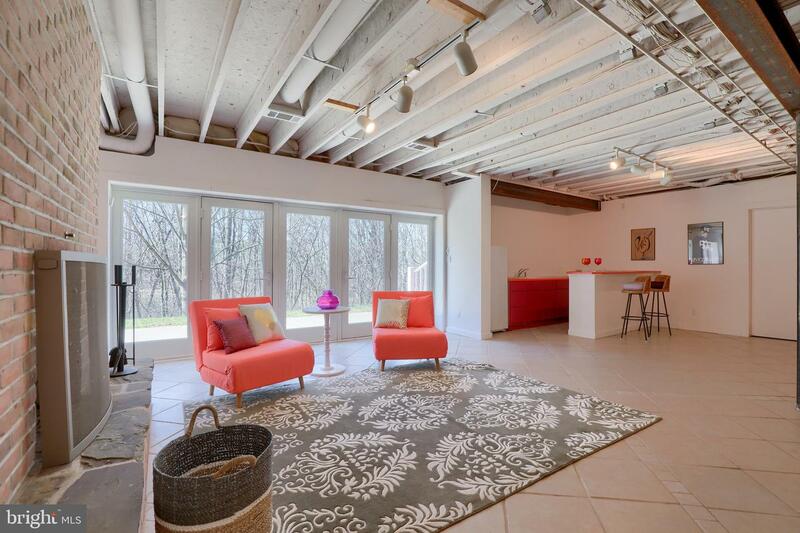 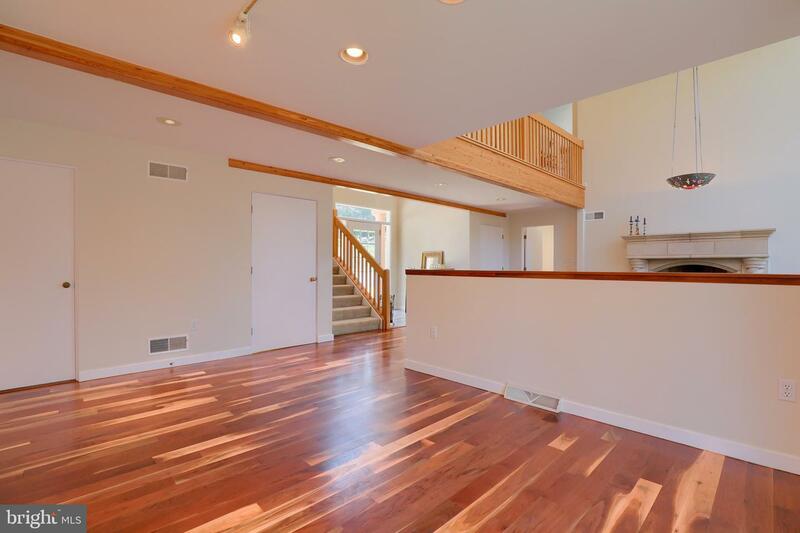 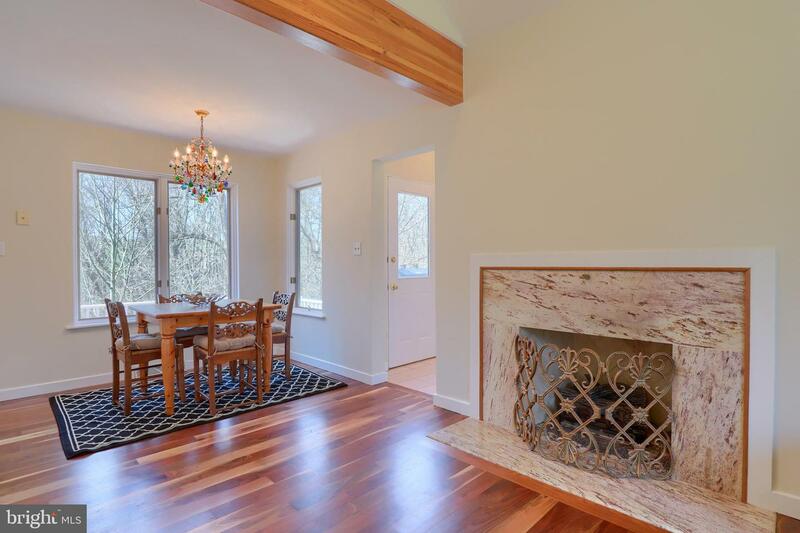 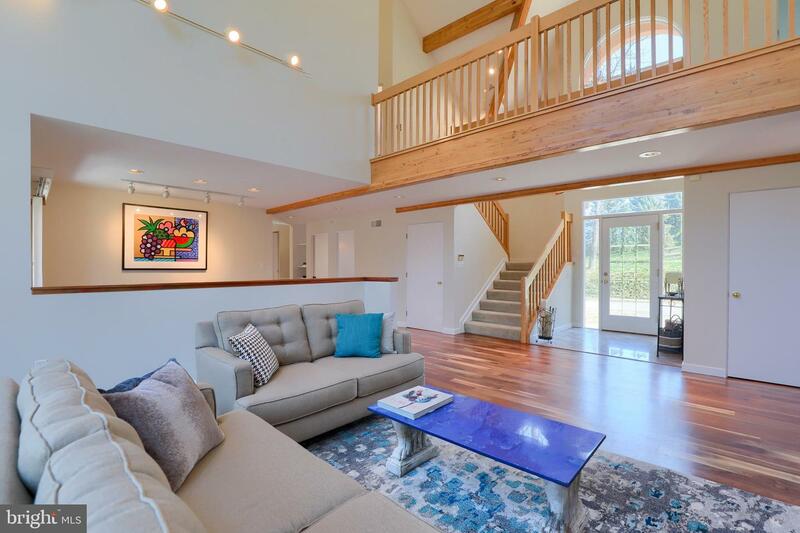 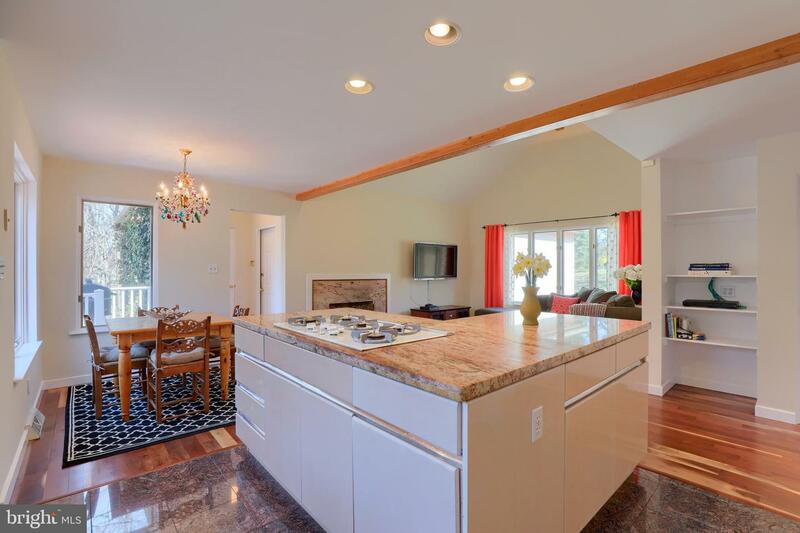 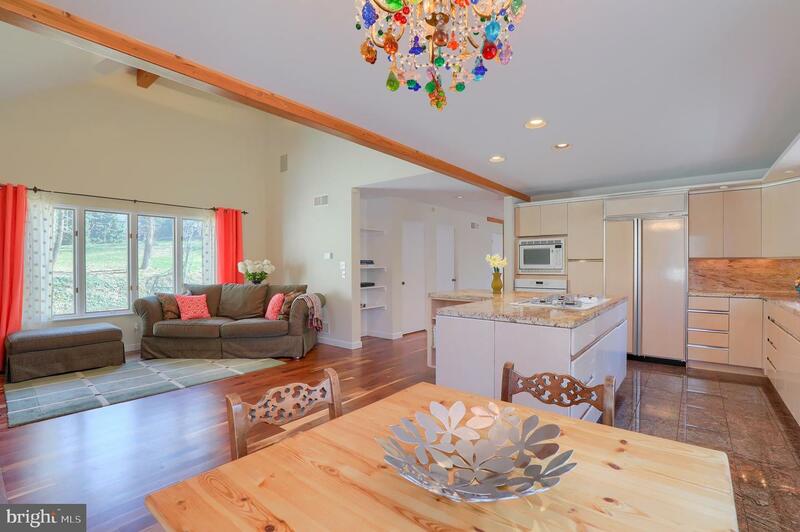 Quickly you'll discover the exposed pine beams that highlight the home in almost every room! 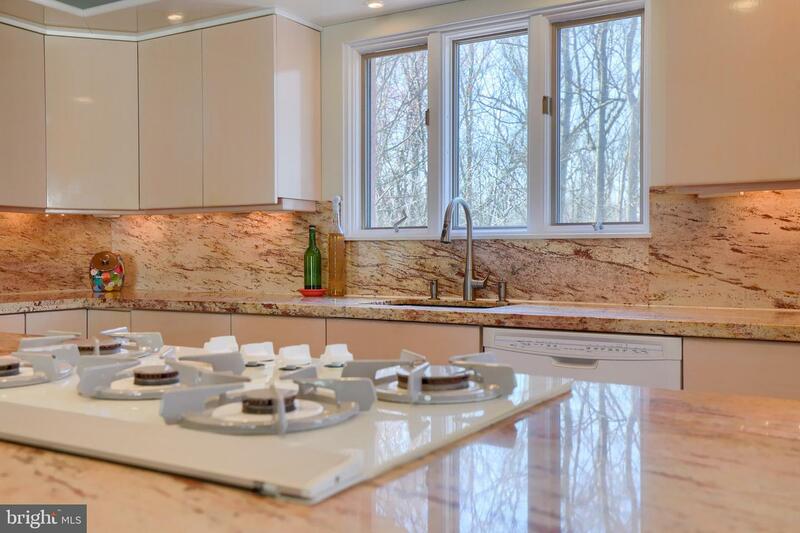 The gourmet kitchen has all the features and amenities you need to host family gatherings or any holiday on the calendar! 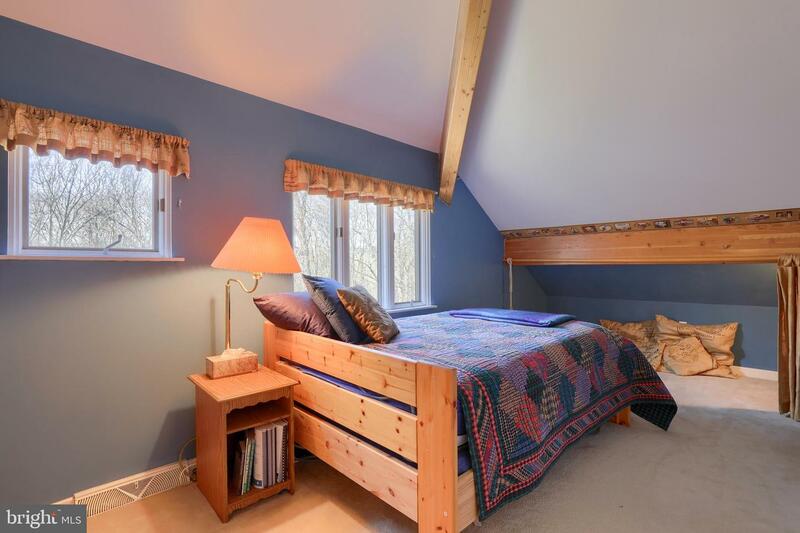 With its first floor master suite, you get the ability to have your privacy from the additional bedrooms on the second floor. 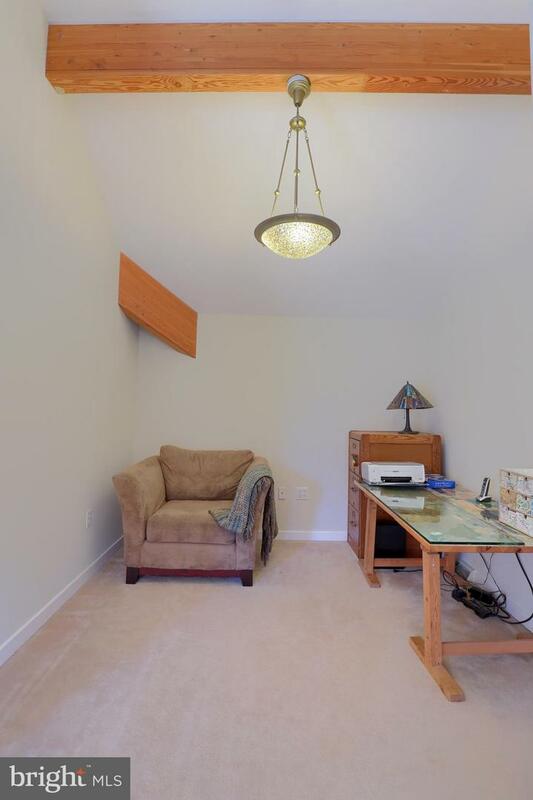 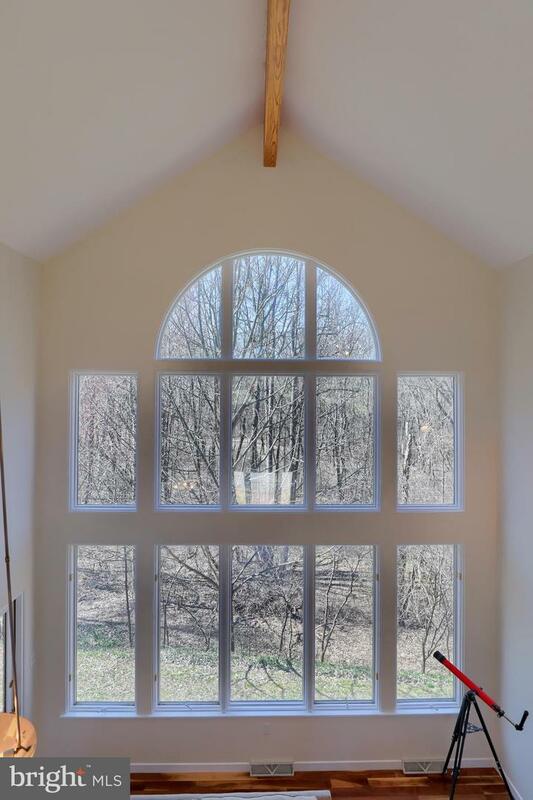 If you're finding you need additional space, wait until you see the finished basement that has more natural light coming in than most homes do on their main level! 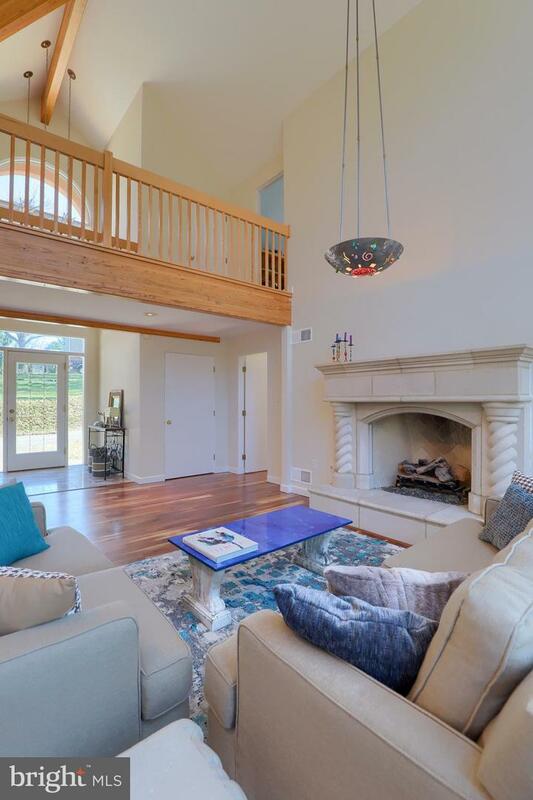 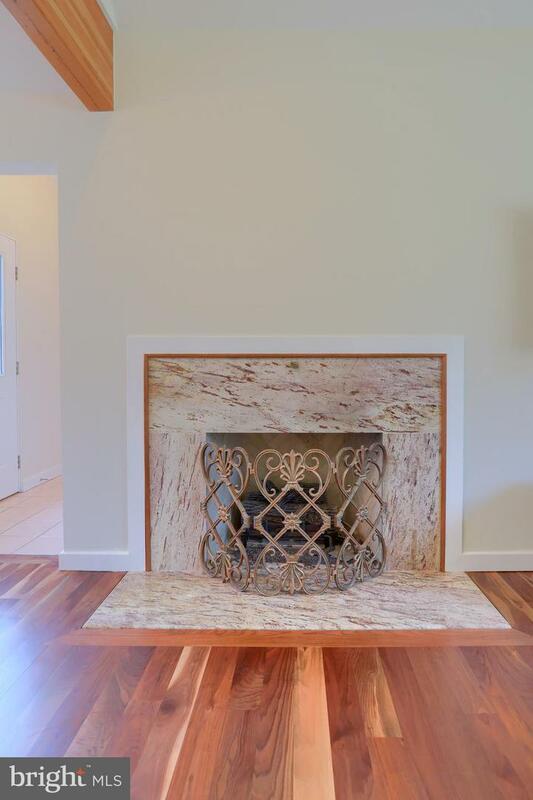 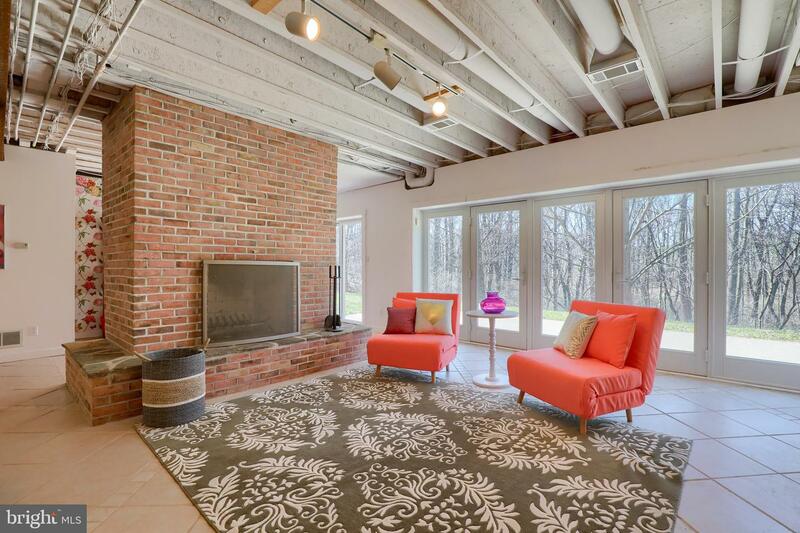 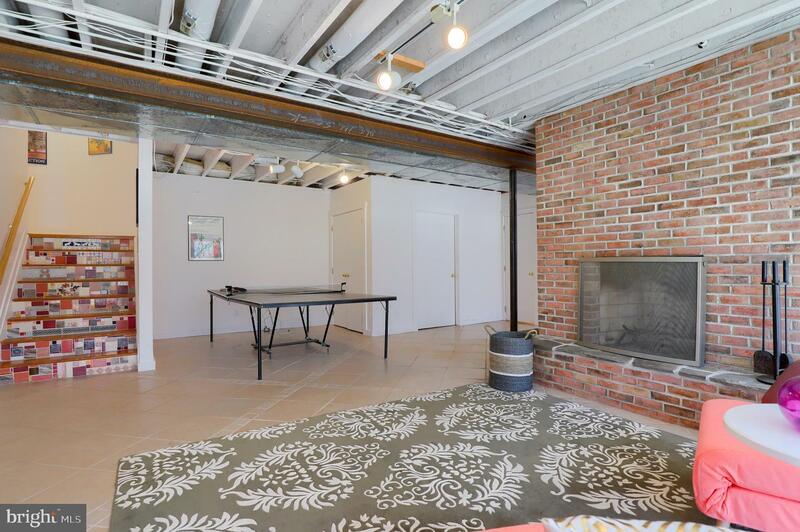 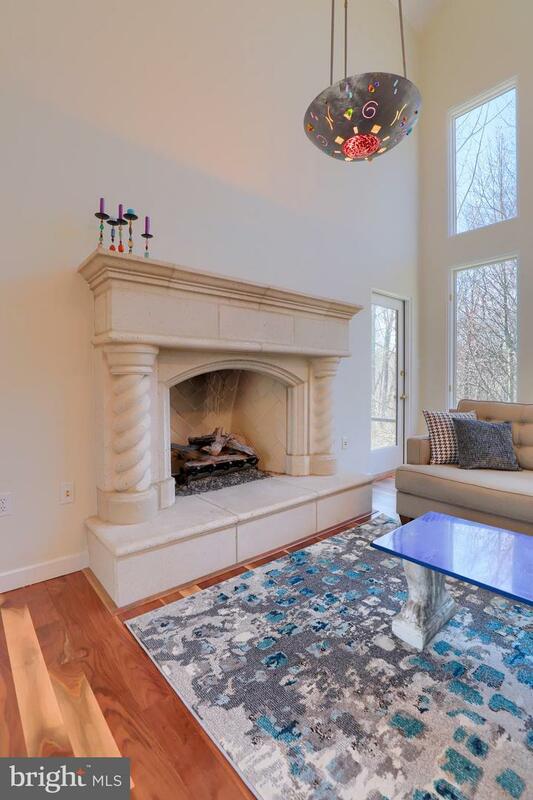 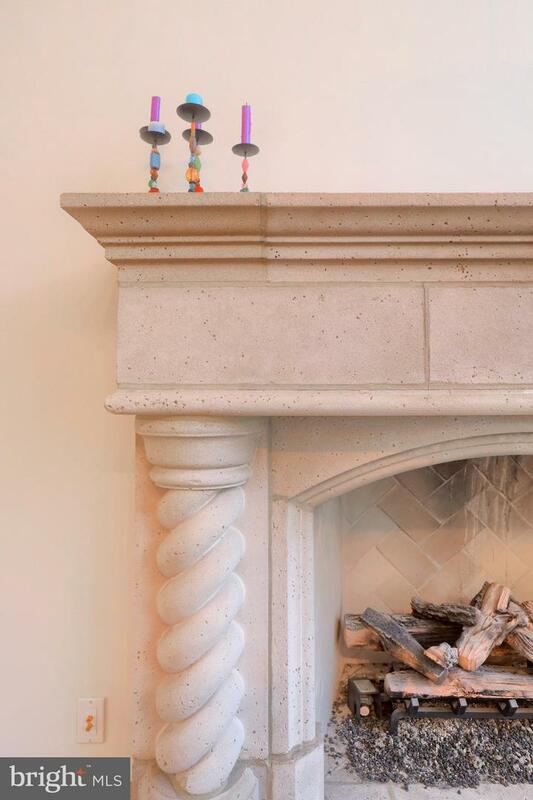 The floor to ceiling brick fire place serves as the anchor to the room, but the possibilities are endless from there! 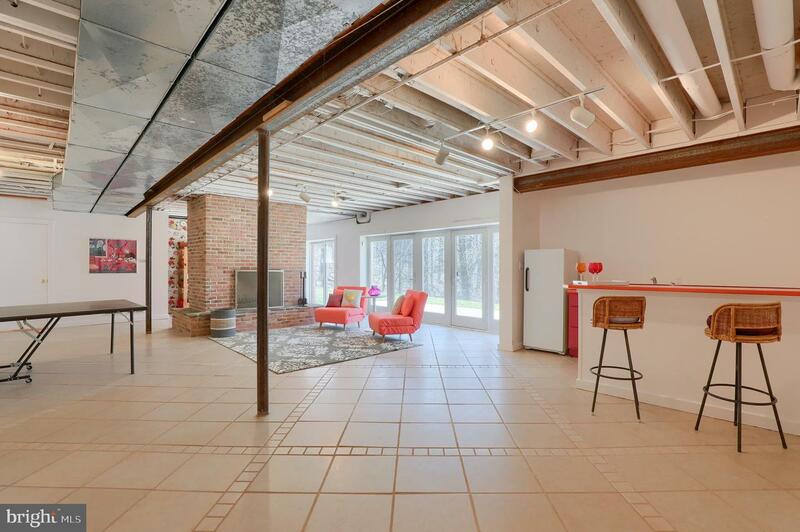 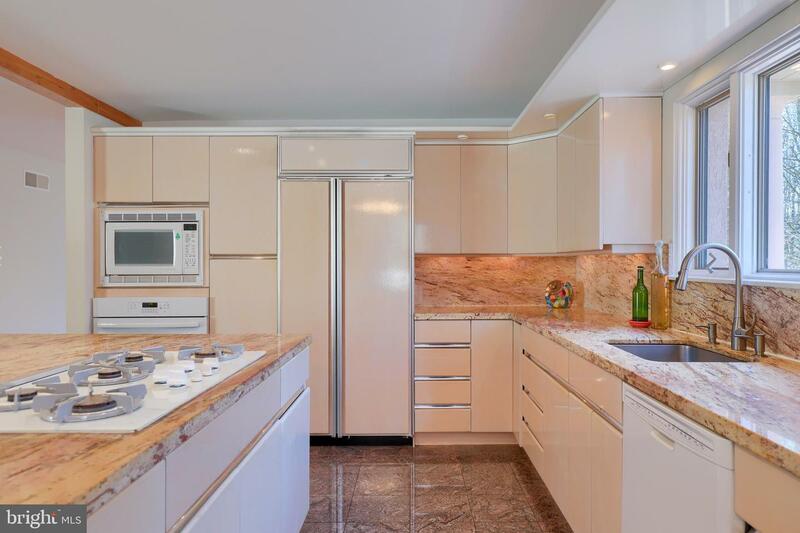 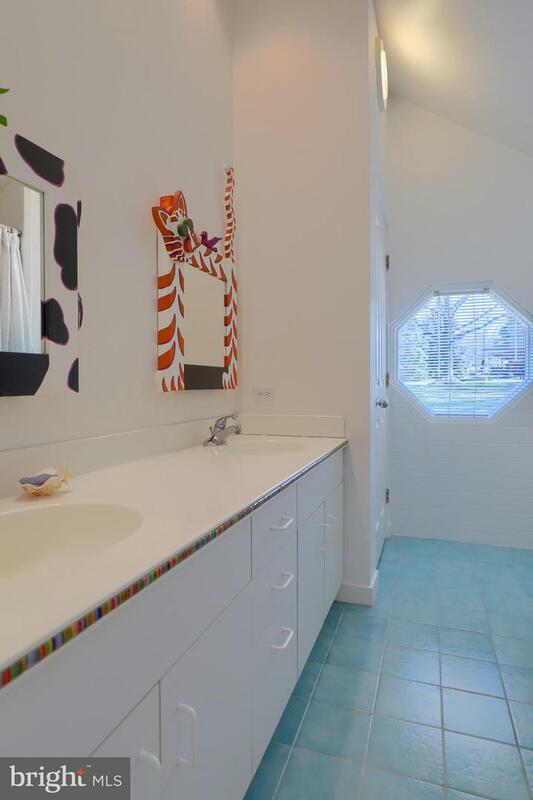 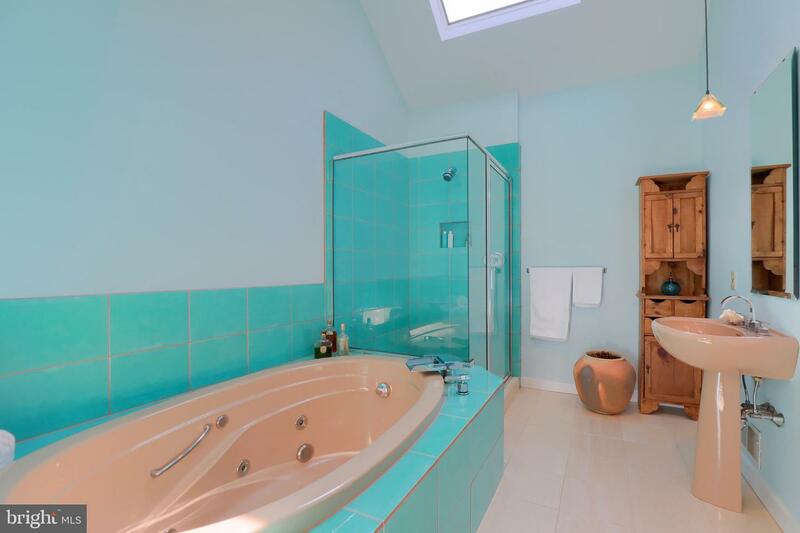 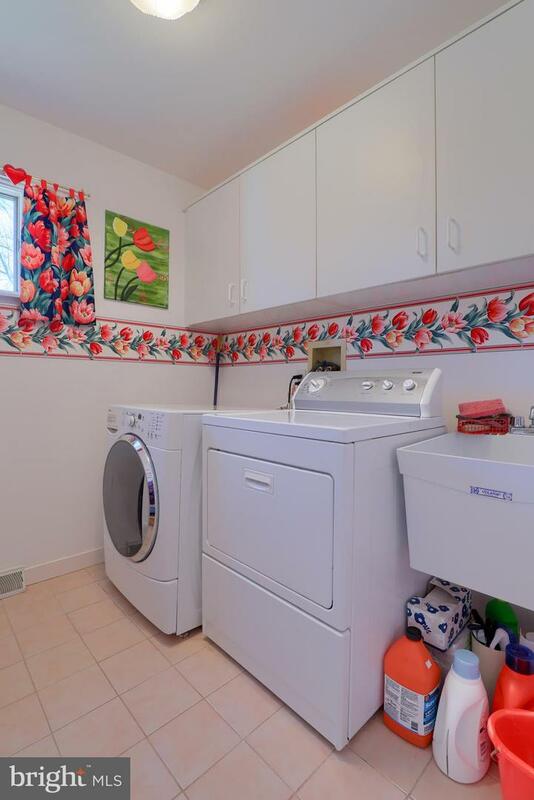 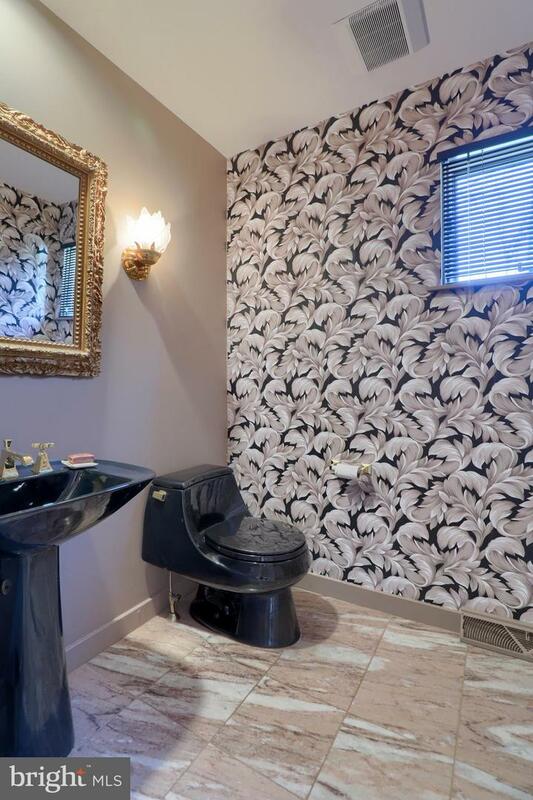 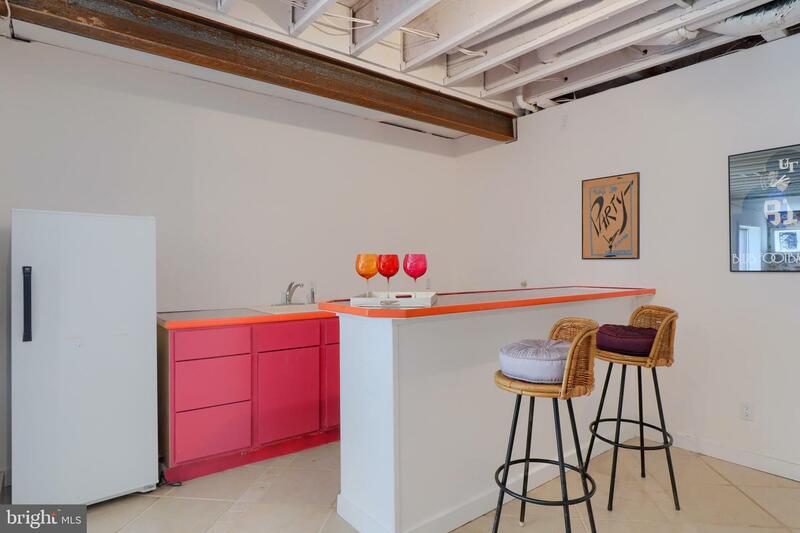 The true attraction to this home is its setting. 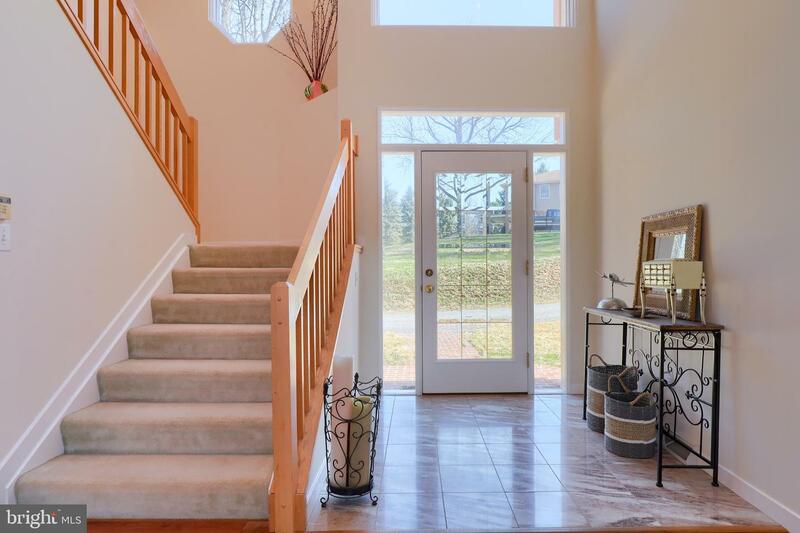 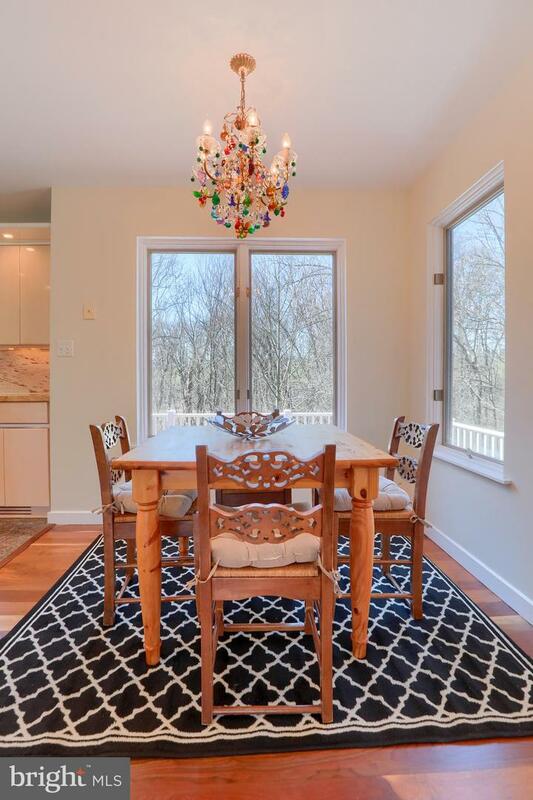 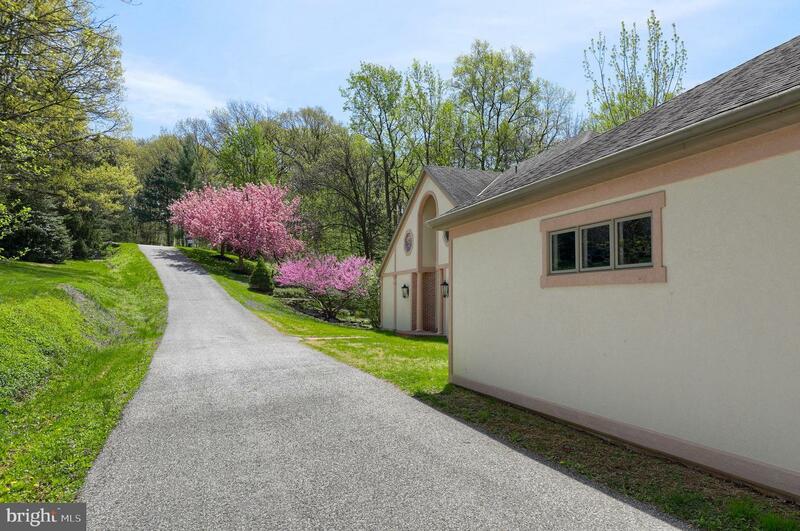 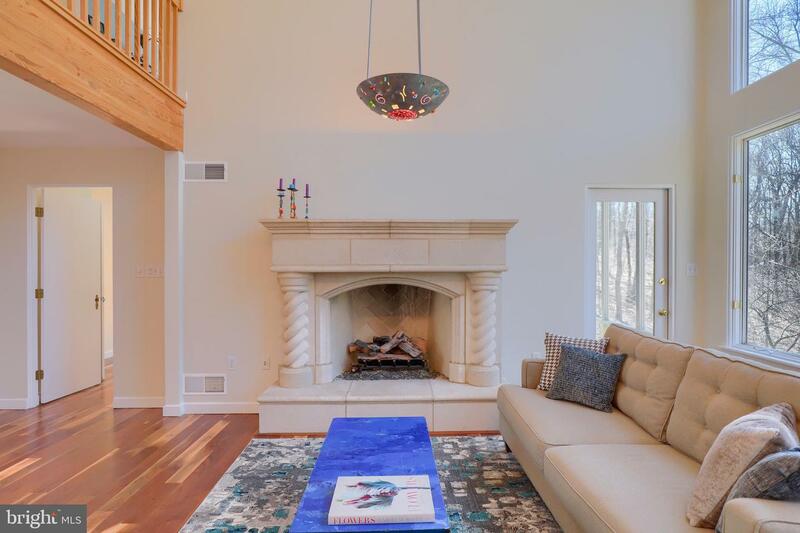 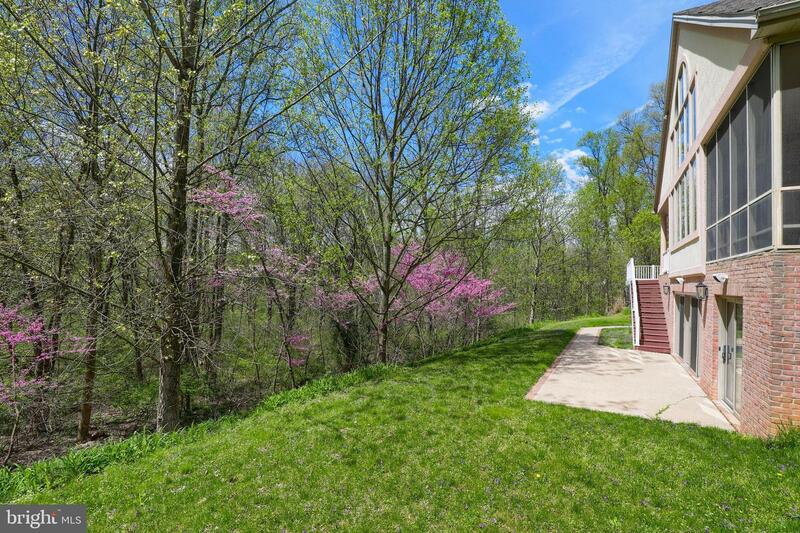 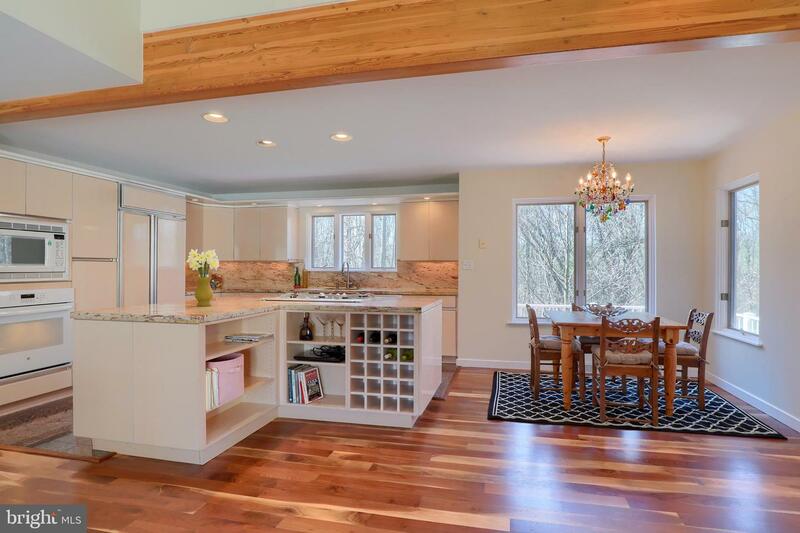 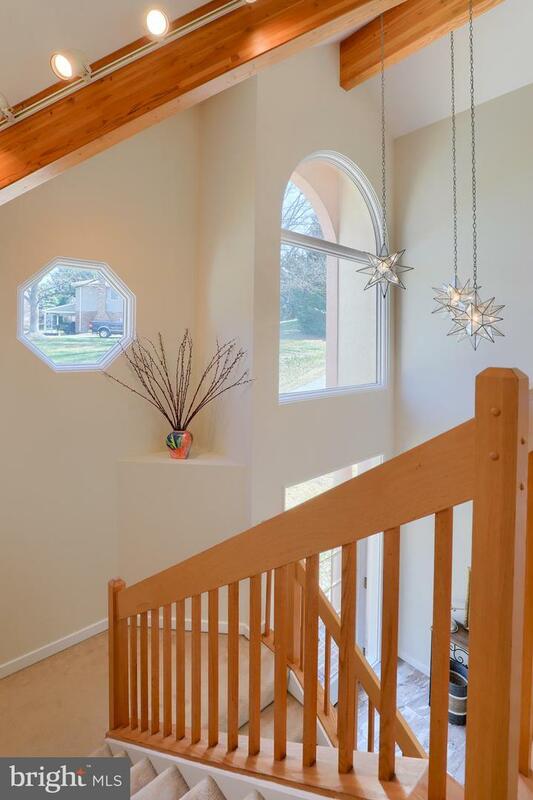 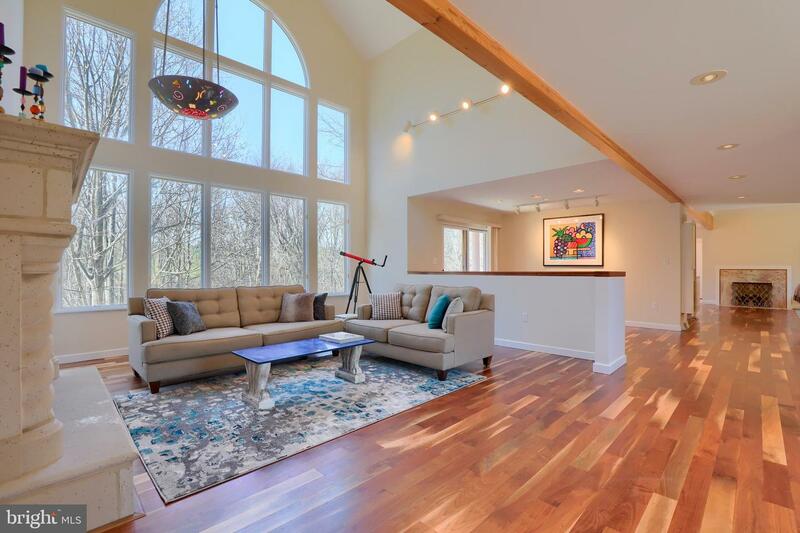 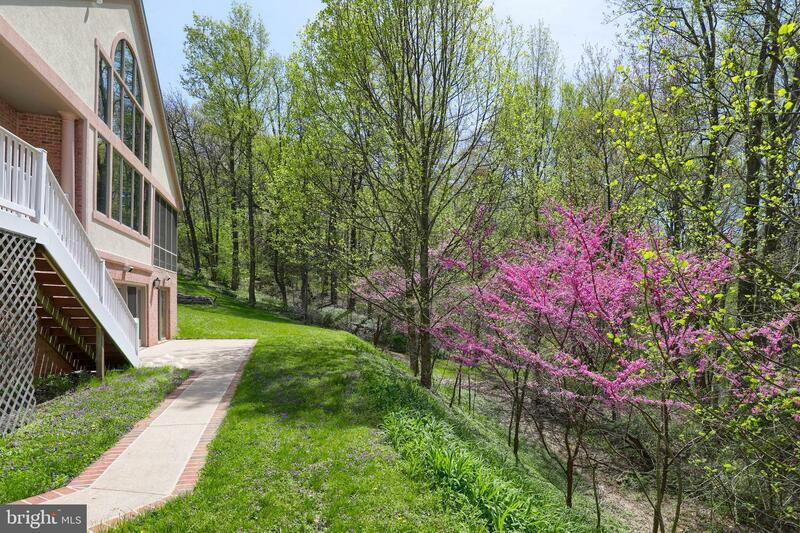 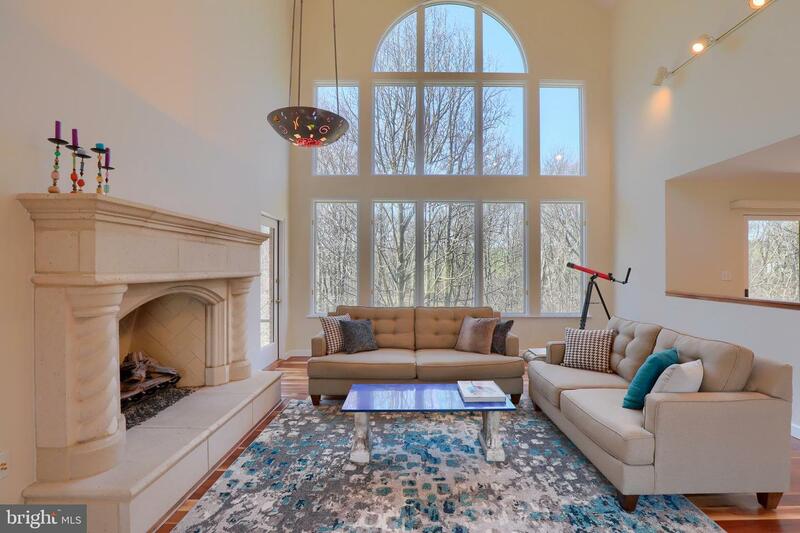 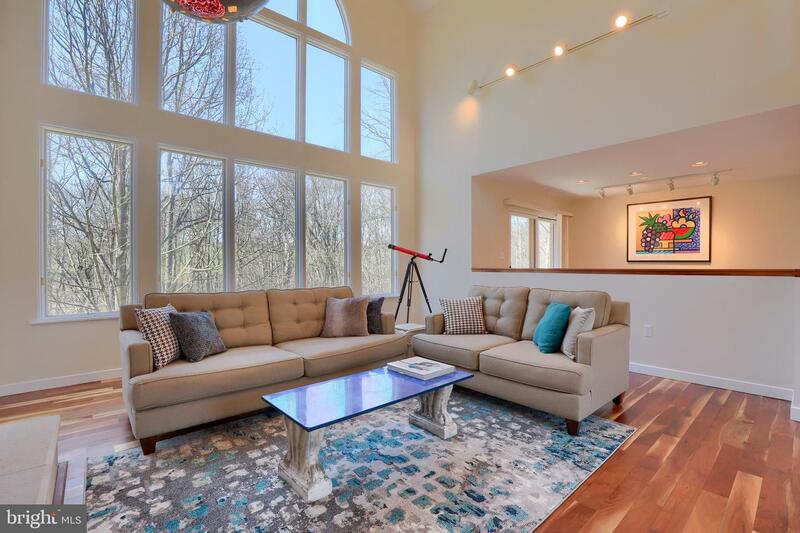 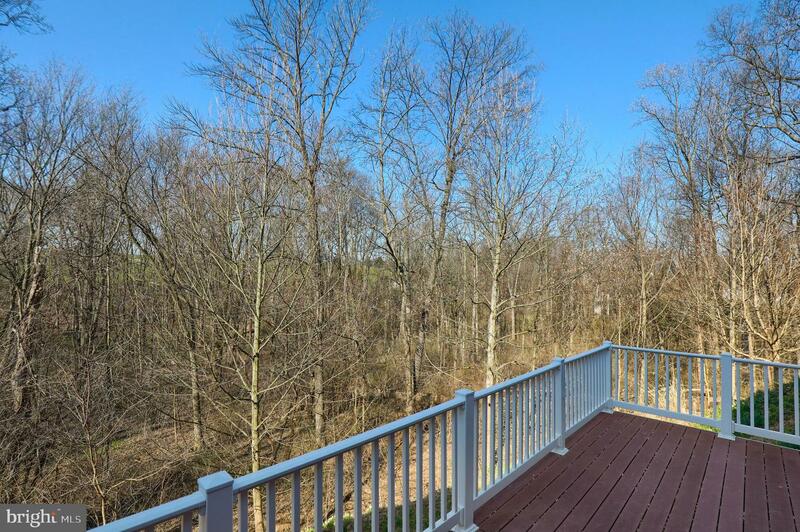 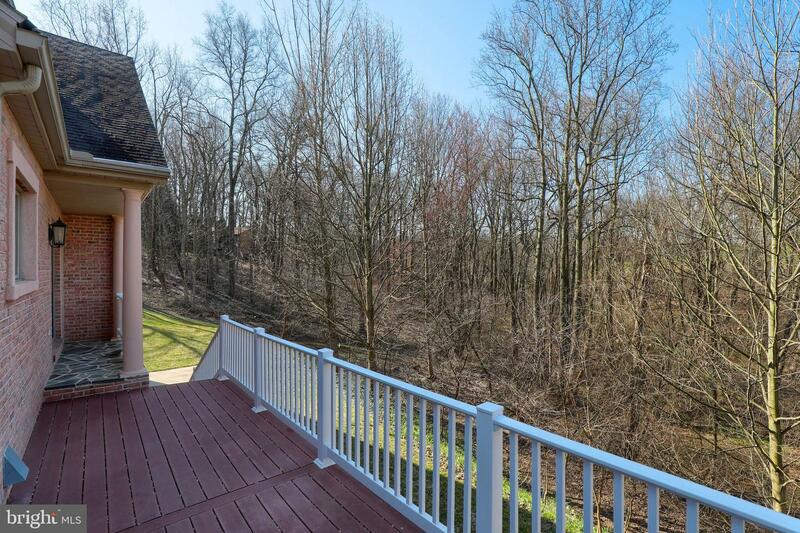 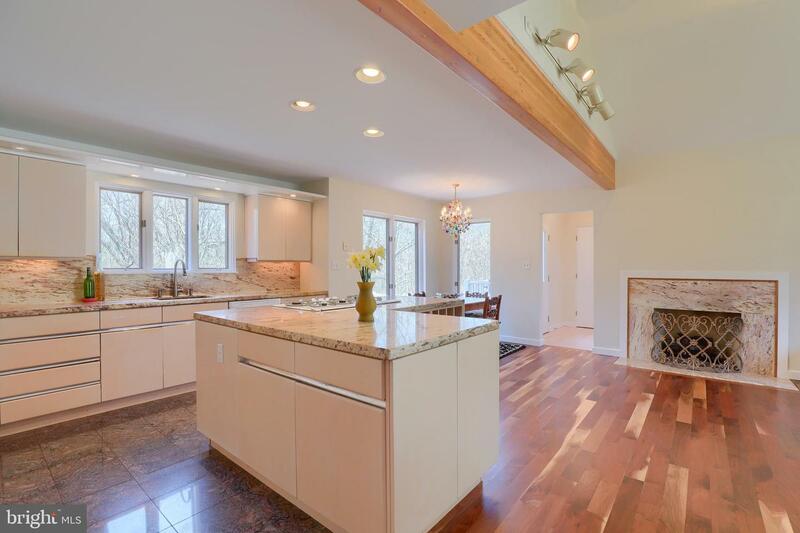 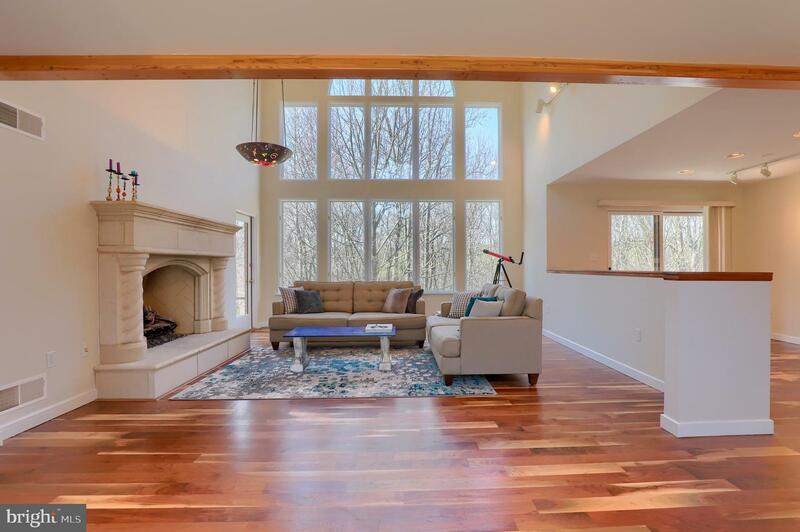 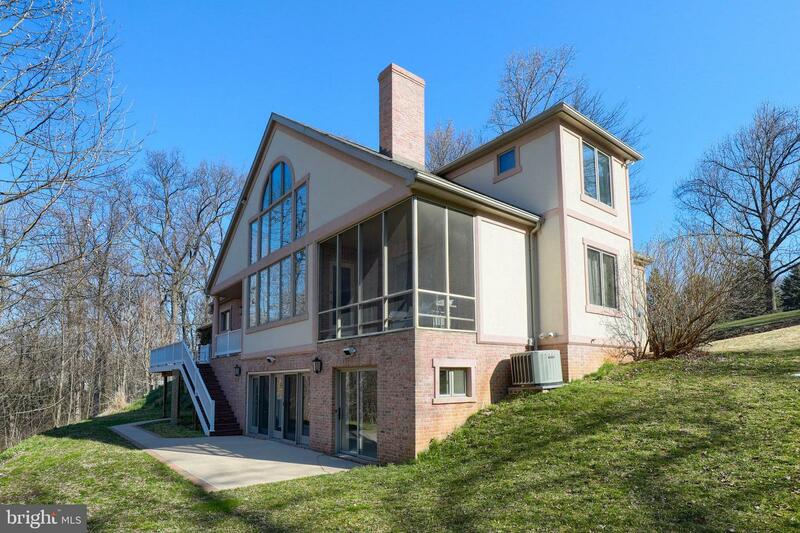 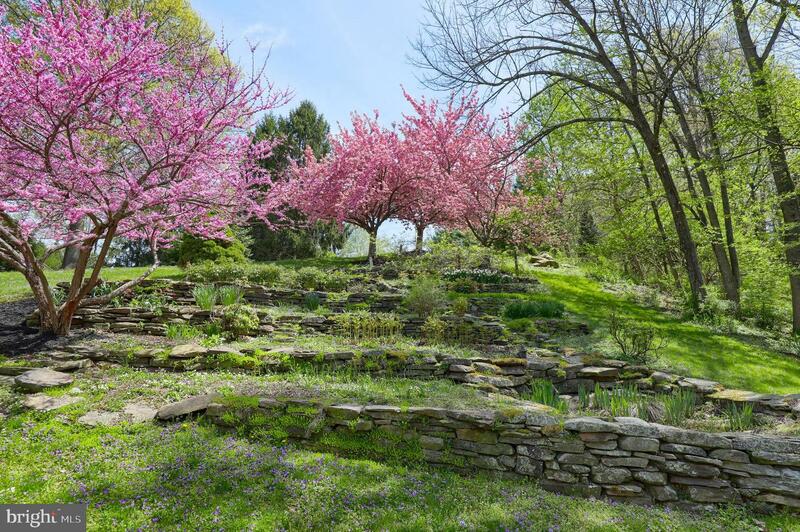 Positioned perfectly on 1.34 acres of wooded charm, you will quickly notice that you have your own private walking trail to York Township Park! 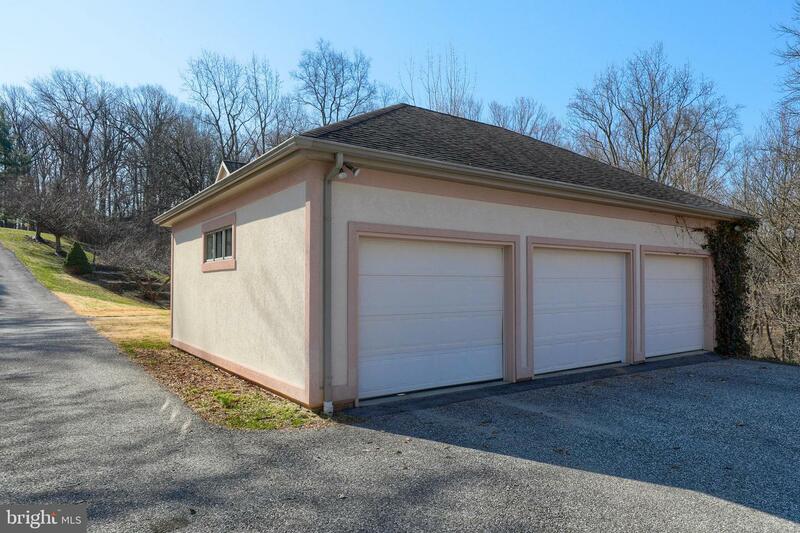 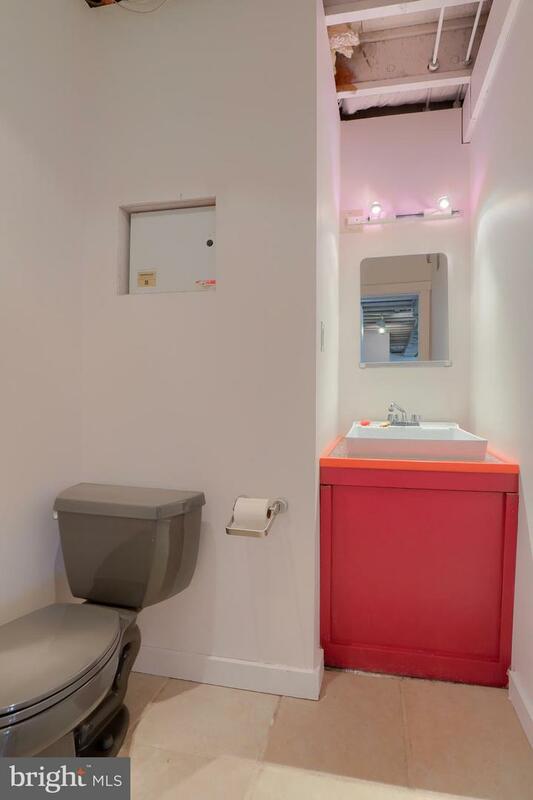 There's plenty of room for parking and even an underground workshop/garage area at the back of the home! 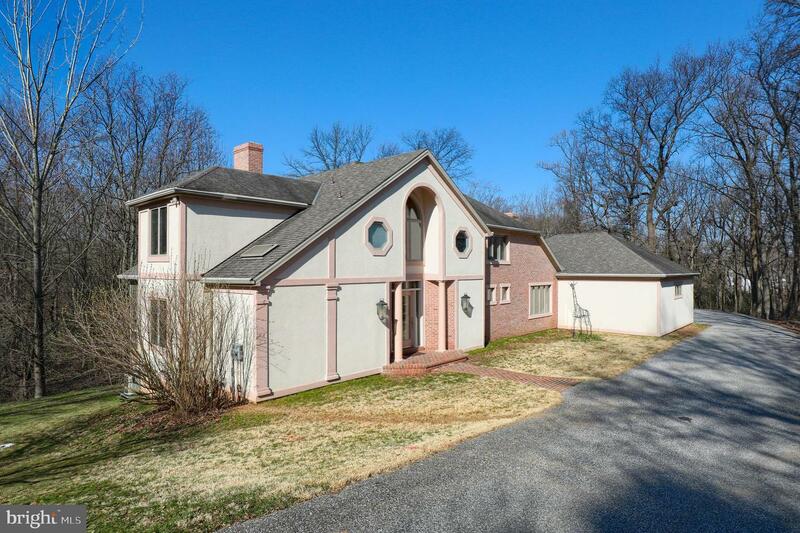 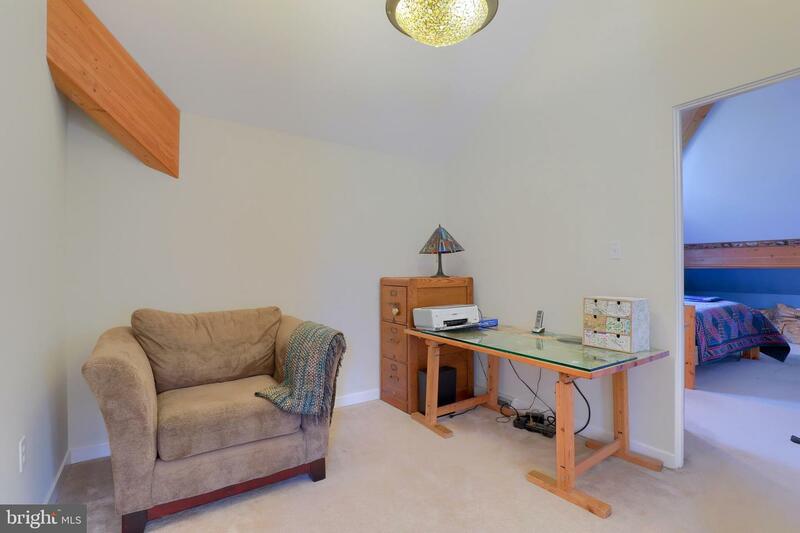 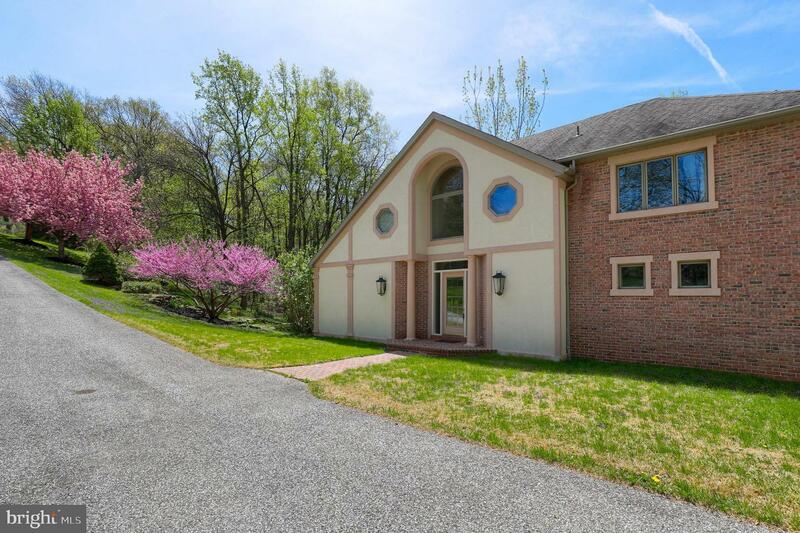 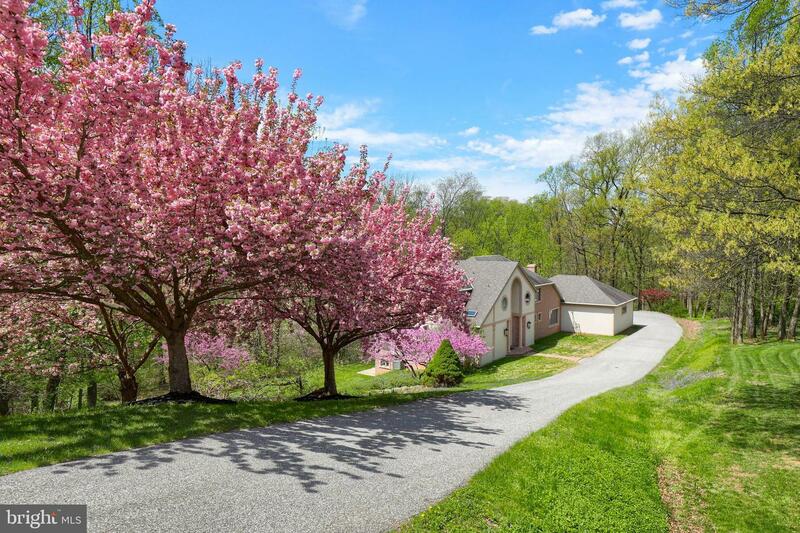 Being just a few minutes from I83 in Dallastown schools, you have location and privacy all wrapped into one! 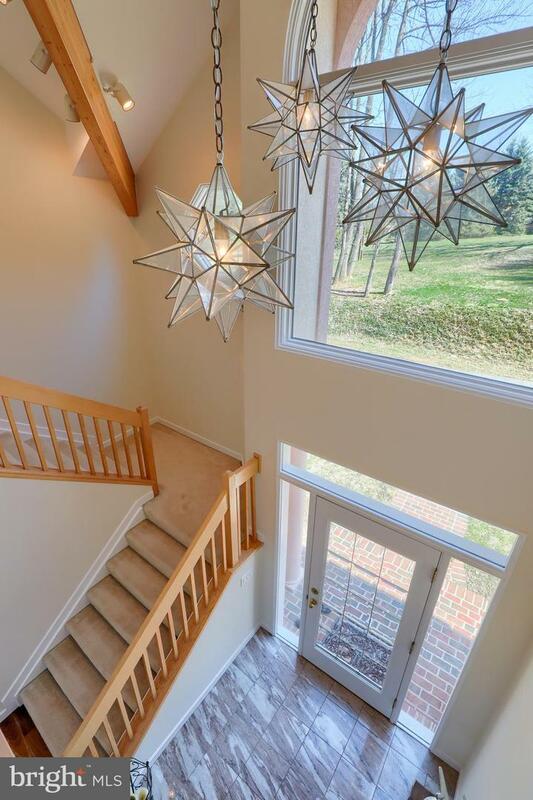 We hope that you take the time to tour this unique well built home that will surely make it worth the time!